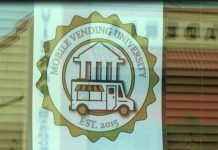 Wichita State University students can look forward to having food trucks on campus. The university has announced they’re building an outdoor space dedicated to mobile restaurants. The space will include four vendor stalls and a dining area with lighting and tables. 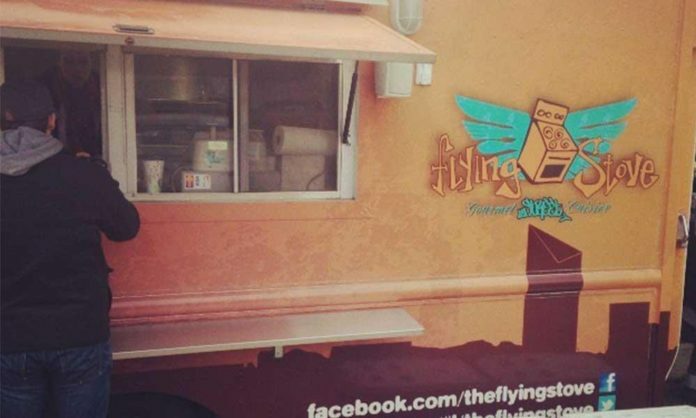 A total of 12 food trucks are already signed up to participate. 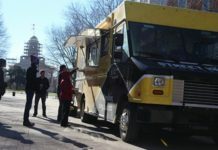 Wichita State spokesperson Tracee Friess says food trucks have been eyeing the WSU campus for some time, but an existing contract with Sodexo, the university’s food vendor, didn’t allow it. “With the opening of the Innovation Campus and the closing of the golf course, we were able to find a place outside of that existing contract to actually get the trucks on campus,” Friess says. The food truck plaza is loosely modeled after the Pop-Up Urban Park in downtown Wichita, which frequently hosts numerous local food trucks. The following food trucks will rotate at Wichita State’s Food Truck Plaza: Brickhouse BBQ, Brown Box Bakery, B.S. Sandwich Press, Charlie’s Pizza Taco, the Flying Stove, Funky Monkey Munchies, Garden of Eatin’, Kind Kravings, Let’m Eat Brats, Lil’Bit Gourmet Burgers, Noble House Hawaiian Plate and Mr. Natural Soul Kitchen.